Marco Mencoboni – harpsichordist and organist, was born in 1961 in Macerata. He studied with Umberto Pineschi, Ton Koopman, Jesper Christensen and Gustav Leonhardt with whom he graduated at the Sweelinck Conservatorium in Amsterdam in 1990. He has dedicated many years to the rediscovery and performance of ancient musical repertoire of Baroque and Renaissance. Thanks to his tireless dedication, many jewels of a forgotten music have been brought back to life including works by Ignazio Donati, Pietro Pace, Costanzo Porta, Bartolomeo Barbarino, Luigi Battiferri. Today, as soloist and director of the Cantar Lontano ensamble, he is in demand by many important festivals of early music internationally as Ambronay, Utrecht, Trigonale, Pontoise, Haut Jurà, Ravenna Festival, Rossini Opera Festival and many others. Since 1999 he is the artistic director of the Cantar Lontano festival. He rediscovered and enhanced the “Cantar Lontano” practice, an extraordinary vocal technique of Marche early ‘600. This incredible forgotten praxis is realized placing the singers strategically in the church space, to the imitation of many choruses, to create a spectacular widespread effect sound. This research has led to the need to transform the unexpected places in real theaters for music, element that characterized his work in recent years, leading him to perform pieces of the Renaissance mixing natural voices to the horns of seven ships in the port of Ancona. In 2010 he began working with the Pier Luigi Pizzi around the work of Monveverdi. His latest creation is Canalgrande Adriatic Baroque Orchestra – an orchestra composed of musicians born and raised near the Adriatic Sea. This international project unites Italian, Croatian, Slovenian, Albanian and Greek musicians. Since 2013 Mr. Mencoboni has been collaborating as a teacher at the Rossiniana Academy of Alberto Zedda at the Rossini Opera Festival in Pesaro. Since 2015 he has been vice-president of REMA, the European association of early music festivals. In 2016 he has produced a series of video tutorials on the peculiarities of early music for the Utrecht Early Music Festival. Itaalias Maceratas sündinud klavessinisti ja organisti Marco Mencoboni (1961) õpetajateks on olnud Umberto Pineschi, Ton Koopman, Jesper Christensen ja Gustav Leonhardt, kelle käe all lõpetas ta 1990. aastal Sweelincki konservatooriumi Amsterdamis. Mencoboni on spetsialiseerunud baroki- ja renessanssiaegse repertuaari taasavastamisele ja esitamisele. Tänu tema väsimatule pühendumisele on paljud unustuse hõlma vajunud pärlid taas päevavalgele toodud, teiste hulgas heliloojate Ignazio Donati, Pietro Pace, Costanzo Porta, Bartolomeo Barbarino ja Luigi Battiferri teosed. Solisti ja ansambli Cantar Lontano juhina on ta nõutud esineja paljudel rahvusvahelistel varajase muusika festivalidel, näiteks Ambronay, Utrechti, Trigonale, Pontoise, Haut Jurà, Ravenna festivalidel, Rossini Ooperifestivalil ja paljudel teistel. Aastast 1999 on Marco Mencoboni Cantar Lontano festivali direktor. Ta on taasavastanud ja populariseerinud 17. sajandil Itaalias Marche maakonnas levinud ebatavalist vokaaltehnikat – cantar-lontano praktikat. See unustatud praktika põhineb lauljate strateegilisel paigutamisel kirikuruumis nii, et tulemuseks on mitme koori imitatsioon ning tähelepanuväärselt mahukas kõla, mis loob polüfoonilise muusika esitamisel stereofoonilise efekti. Selle teema uurimine on viinud vajaduseni muuta ka kõige ootamatumad kohad tõelisteks muusikateatriteks ning see on iseloomustanud Mencoboni viimaste aastate töid, näiteks renessanssteoste esitamisel Ancona sadamas segunesid naturaalsed hääled seitsme laeva pasunahelidega. 2010. aastal alustas Mencoboni Monteverdi teoste esitamiseks koostööd Itaalia ooperilavastaja ja -kunstniku Pier Luigi Pizziga. Tema viimaseks väljundiks on olnud Canalgrande Adriatic barokkorkestri loomine. Tegu on rahvusvahelise projektiga, mis ühendab Aadria mere ääres sündinud ja kasvanud muusikuid: itaallasi, horvaate, sloveenlasi, albaanlasi ja kreeklasi. 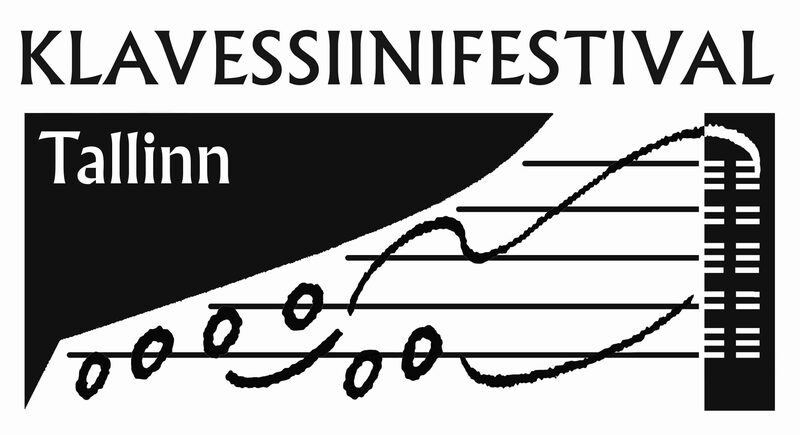 Alates 2013. aastast on Mencoboni olnud õppejõuks Rossini Ooperifestivali raames Alberto Zedda nimelises Accademia Rossinianas Itaalias Pesaros ning alates 2015. aastast on ta Euroopa varajase muusika festivalide assotsiatsiooni REMA asepresident.